You will need modern home decor ideas to decorate your modern house. 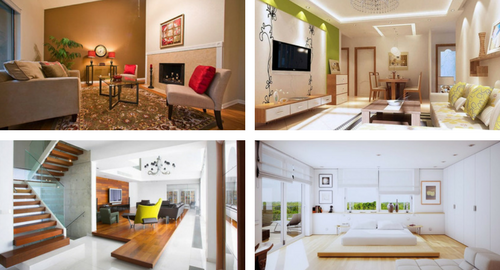 Moreover with home decoration with modern style you will be able to support your modern lifestyle with stylish house. But some of you might not know how to make your house looking modern. Since you could not just put everything in your house, you might need some guidance that could help you in using home decoration to make your house looking more modern. Do not worry since you do not need to change your home design completely since you can still make your house to look more modern by changing several things and adding some items inside. What modern home decor ideas you should have? To make your house look more modern, then you must create a nice background especially for the home décor that you want to use later. If your wall is still colorful then it is better to repaint it into white color to create the perfect background for the home décor you will use later on. Moreover white is considered as neutral color thus you will be easier to match this with the other color that you want to add later on. But if you think that plain white wall is not you thing then you can also try to add one accent wall among the other white wall you have created. But you should think of a dominant color that you will use on the color scheme of the room. The color should also be bold to make it stand out from the rest of the colors in the scheme. Then just paint that accent wall with the dominant color of your choice. After you have the perfect white wall, now it is time to put some decoration in it as the second modern home decor ideas you should do. One thing that you can use is wall decal since it is removable so you can change it whenever you want. There are a lot of decal types that you can use whether it is on modern shape or even quotes that you might love. The decal can give your room modern feeling with its modern shape and the quotes can give you inspiration while enjoying yourself in the room. Try to choose a decal that match with the color scheme that you plan for the room so it will also match with the other decoration later on. When it comes to the furniture, you can easily find modern furniture in your local home improvement store. However if you want to add some spice in your furniture, then you can go for this art deco furniture which look very modern. The art deco furniture has very unique shape; this you cannot fill your room with too much furniture. This is why you must really select one or two pieces that really attracts you and put it inside your room as accent pieces. Even if you are going with modern home decor ideas, however you should not forget about using wood as material. Of course you should not go overboard and use woods everywhere, but you can try to incorporate this material inside your room as accent. You can try to use this material as your stairs material, cabinet material and even flooring material. The wood will be able to add more warm feeling to your modern style room which may appear too cold. If you really want to apply modern lifestyle in your home, then you must do the basic things which are cleaning and declutter your rooms. Make sure that everything has their own storage so it would not spread everywhere in open view. This will make your room look clean and will refresh the room completely. You can even see the change in your room after you declutter it from everything that you do not need. You should not put too much decoration since it will be able to clutter your room once again. Using modern home decor ideas could not be done just like that, you should really think of what items to use and what items you should not use. Do not forget since you need to keep the room clean, which means you should also make sure you have enough storage in the room. To cope with this problem you can try to use multipurpose items that could work as storage as well as home décor or furniture. That way you can put your extra items inside the storage and only put it out when you want to use it. Create the perfect living space with these items we have here and use our tips to support your lifestyle.